"He really ought to be a serious contender to [1.84] favourite Rafael Nadal for the French Open at the end of next month, but until he gets his head sorted out I’m not sure I’d back him even at the attractive price of [12.5]." Back in the 1980s we used to watch an American comedy series called "Soap", a glorious mickey take of all the daytime TV series like Neighbours or Hollyoaks. Each episode would begin with a summary of the previous action, running through various affairs, attempted murders, and general convoluted shenanigans before asking: "Confused? You will be." It struck me that wouldn't be a bad tagline to add on after going through the latest saga of Novak Djokovic's ever changing coaching team. To go through, "Soap" style, the story so far: Novak, having held all four Grand Slams in 2016, sacked Boris Becker who'd guided him to that success and instead took up with peace and love guru Pepe Imaz. He next got rid of longstanding advisor and former main coach Marian Vajda, together with his fitness coach and physio, and hired Andre Agassi then Radek Stepanek. In the latest instalment he's sacked Stepanek, and Agassi has walked away, and the twist is that he's being filmed having lessons again from Vajda at the Marbella tennis academy owned by Imaz. Confused? Me to. The trouble is I suspect Djokovic is equally confused, and until he gets his own mind sorted out I'm not sure it matters too much who is in his corner. I'd backed him for the Australian Open after the first couple of rounds, believing that Agassi had given him back the warrior spirit that had taken him to his 12 career Grand Slam victories. What did I know? He promptly lost in the fourth round to 21-year-old Korean Chung Hyeon. Since then he's been wiped away in his opening appearance at both Indian Wells and Miami, bringing the latest shake-up that saw Agassi head for the exit door. That was weird too, because while Djokovic announced the split with Stepanek on his own website, the parting of the ways with the American legend leaked out during TV commentary with Agassi admitting: "We far too often found ourselves agreeing to disagree." Djokovic is scheduled to begin the clay court season by appearing at the Monte Carlo Masters which starts on Monday, although his entry, according to some tennis sources, remains in doubt. And while he really ought to be a serious contender to [1.84] favourite Rafael Nadal for the French Open at the end of next month, until he gets his head sorted out I'm not sure I'd back him even at the attractive price of [12.5]. Working with Vajda could be a step in the right direction, but it is unclear how serious their commitment will be. 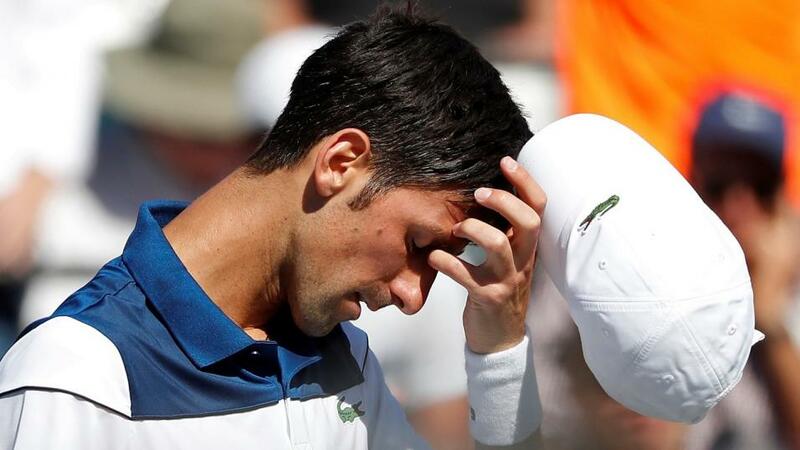 Djokovic's team have told tennis writers that there are no plans beyond a brief training spell. And you fear that Djokovic, who turns 31 in May, has lost the burning desire that once made him the most fearsome opponent in the game, a man who never knew when he was beaten. He's second favourite at [7.0] behind Roger Federer [2.92] for this year's Wimbledon but will have to take some huge steps forward before then. A bit like Chester Tate, one of the main characters of "Soap" who constantly lurched from one affair to the other, he doesn't seem to know what, or who he wants. And until he sorts that out, well he and the rest of us will go on being confused.